Aramusk was launched as the 1st men?s soap in India by Shaw Wallace in 1985 and is now owned by Wipro Consumer Care and Lighting Ltd. This men's grooming and personal care brand known for their superior quality products across India, now also has talcs, deodorants and a complete shaving range. Aramusk Classic personifies Men that exude timeless charm and chivalry, for those who like to keep it classic and enchanting at the same time. Indulge in its captivating scent and let the aroma work its magic and gratify your senses! It reinvigorates you with its subtle fragrance, which makes you fresh and vibrant. The fragrance exudes an unmistakable sensual masculinity. 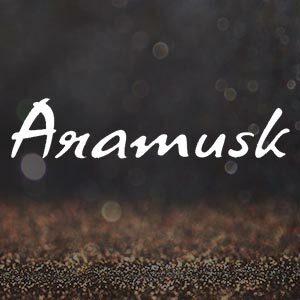 Appease your senses and grant them real pleasure with the Aramusk Musk. Indulge in the magnetism of enchanting Musk scent with timeless appeal and an exclusive aroma of the world. The must-have for men who know that confidence, sometimes is even achieved. Masculine & elegant fragrance to give you instant freshness and confidence, which last throughout the day. The refreshing fragrance keeps you pepped up all day. Address of Mfg / Importer / Brand: Plot No. 4, Antharasanahalli Industrial Area, Tumkur - 572 106.